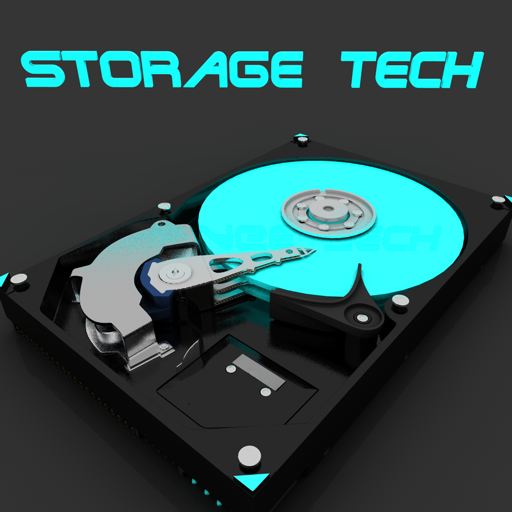 This mod allow to create custom disk size (fluid and item) for Refined Storage. Sorry for all of my nagging comments, but do you have a Discord, or Discord Server that I could chat in or with? How do I store VFT/VIB in the respective Memory Container(s)? 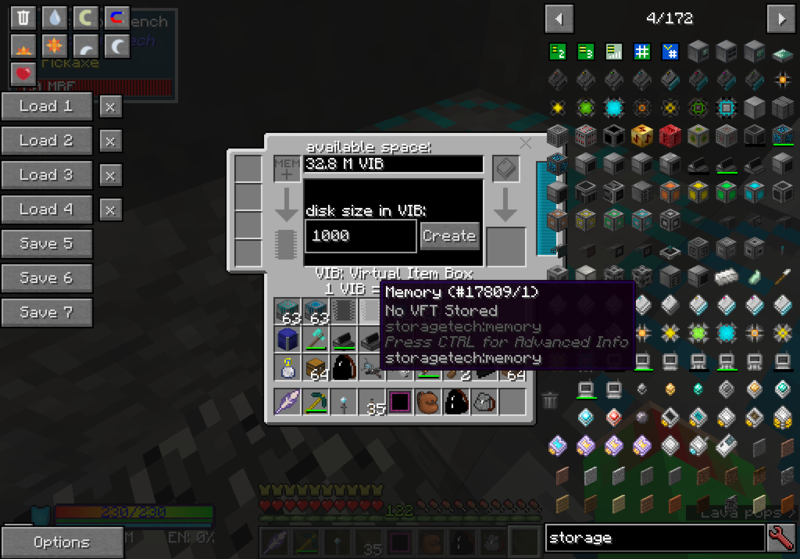 I mean, I just took 3-4 Hours attempting to add an NBT tag that I read on the Github Page of your mod’s Source Code, could maybe be added for storage “Storage”, or VIB & VFT Stored-age within the memory item in the mod. But I would just love if I knew how to make that happen WITHOUT being EXTREMELY Cheaty-Like. the Memory is dropped by breaking the workbench. sorry for my response time. Cyril is one of my middle names! USA, California, or California, USA. Okay me i come from France. Do you have a Discord, or discord server? -Edit: I have my discord name on the next page or so of comments here. Edit of edit: It’s actually on the top of this page! 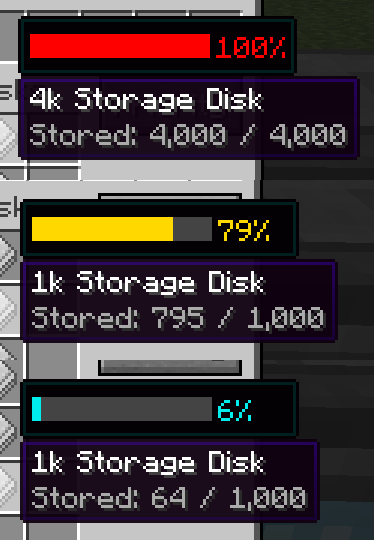 Would it be possible to re-introduce pre-sized storage cells and components from the version(s) before the custom disk(s) Update? I enjoyed them until an update broke my modpack at some point. there is no change it's normal ? so you can translate this for the next vertion ? AE 2 crashing and crashing that brings me RS to work on my world, any tutorials for this mod that will help my storage capacity hunger on RS??? Hi sandytigley, sorry for the response delay. Are you search a tutorial ? Yup, but thanks I already figured it out my self very self explaining on the process, thanks. Try to install stable-6 with NO ADDONS, and NO EXTRA Grid Addon Mods and stuff like those, Algorithm I THINK may have fixed that specific crashing bug when loading the game, and yes, I DID run into that crashing bug before, but not actually anymore now. You should add support for Reborn Storage storage parts. And larger values in general. Please and thank you. hi, I have added the part for reborn storage in the new version.